I was lucky to meet a reporter at WordCamp SF who asked me to answer a few questions. Here is the result. What is the No. 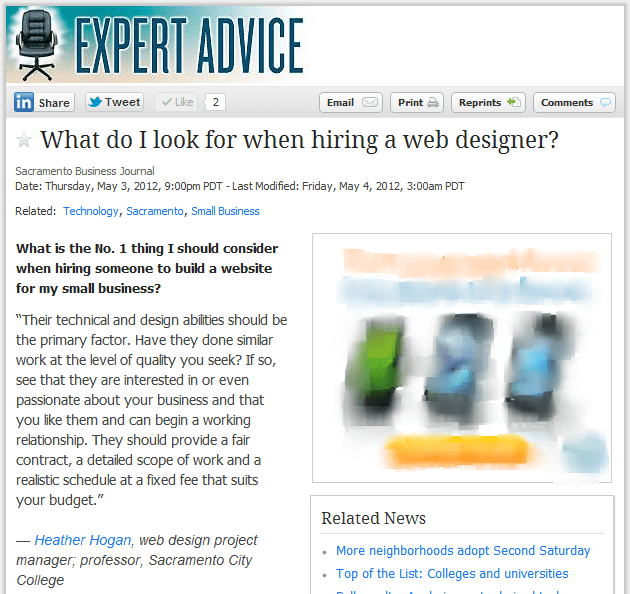 1 thing I should consider when hiring someone to build a website for my small business?